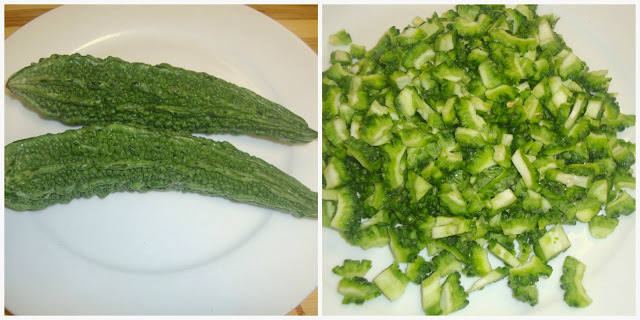 An easy way to overcome the reluctance to eat Bitter Gourd! We were once served this dish in our neighbors house and since then this became one of our favourite! A simple and tasty way to include Bitter Gourd in our routine. Once it crackles, add chopped green chillies and onion; fry till the onion becomes translucent. Now add the chopped bitter gourd and salt. Mix well and allow to cook in medium flame till it turns golden brown. Turn off the gas. Once it is cooled, add curd and mix well. Serve as an accompaniment to any spicy gravy with rice. healthy raita,i too prepared it..soon will try to post it!! looks delicious.. very new to me! 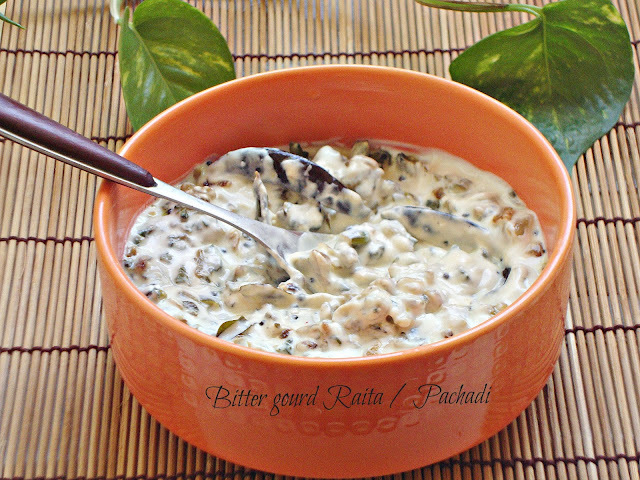 Such a healthy raita, never tried raita with bittergourd. Looks wonderful. Wow..what a lovely try dear.Its taste bitter only but when mixed with curd..let me check out after trial. Raita looks so colourfull. loved it any time.